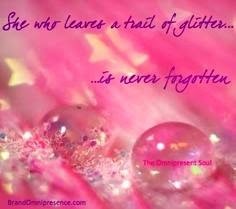 She Who Leaves a Trail of Glitter is Never Forgotten! I started this blog in 2011 to tell my adventures of being a fabulous, outgoing girl who has gone through life sitting down and who wants to share the things that I love with other people! 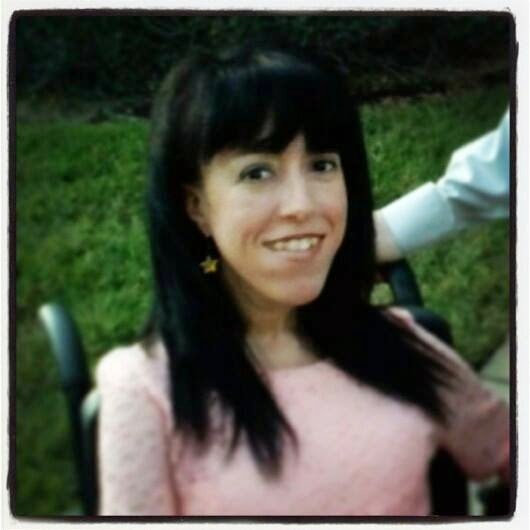 I want people to see that my wheelchair does not define me and if you get to know me, you will see that my life is filled with hilarious stories of overcoming challenges, endless exploration for my next favorite outfit, tasty treats and so much more. . .but most of all, I'm just me. I have the most wonderful boyfriend in the world, I love my family, fashion, makeup, music, movies and just living life to the fullest. I have met so many wonderful people through my blog and have been able to experience so many wonderful opportunities had it not been for I Look Good Today! Recently I was contacted by my absolute FAVORITE nail polish company, Julep, to give them a description of what my "signature" nail polish would be and what I would name it. If you don't know about Julep, you are missing out!!! Julep Maven is a monthly nail polish and beauty subscription box. They make all their own products, so subscribers get a good value each month – over $40 retail worth of product for $24.99 a month. Each month Julep releases a new collection on the 20th, and you can decide which box you want, you can upgrade to the entire collection, or you can skip that month. (They recently changed their skip policy – If you’re a new subscriber, you earn a skip every 6 months). If you’re new to Julep polish, it’s vegan and 5-free. I personally LOVE the formula! It lasts far longer than any other brand of nail polish I have ever worn (And that is a lot! ), it has this wonderful shine and it just goes on to perfection! You can check out the colors they currently have available at http://www.julep.com/shop/nail-polish.html. So to say the least, being asked to describe my ideal color and being able to name my color, I was absolutely flattered and excited! All of Julep's nail polishes are named after women. Although I think having a nail polish named Jamie would be amazing, the more I thought about it, the more I wanted my nail polish (If I am lucky enough to be chosen for this opportunity.) to be called Jasmina (Pronounced Haus-me-na). When I was in high school taking a Spanish class, our teacher gave each student a Spanish name that they would be called while in the class; mine was Jasmina. I remember going home and telling it to my family, and it just stuck. So, what would my signature color look like you ask? Well, if you have visited I Look Good Today for any length of time you would know that my favorite color is. . .purple. I have purple nail polishes, but I have never found an iridescent purple with silver micro glitter in it. My boyfriend's nickname for me is Twinkle, and the thought of an iridescent purple nail polish with silver micro glitter on my fingers, to me, embodies me perfectly - I love purple and I try to "twinkle" with happiness each and every day . In order for me to have the opportunity to get my own nail polish color, I need your help! 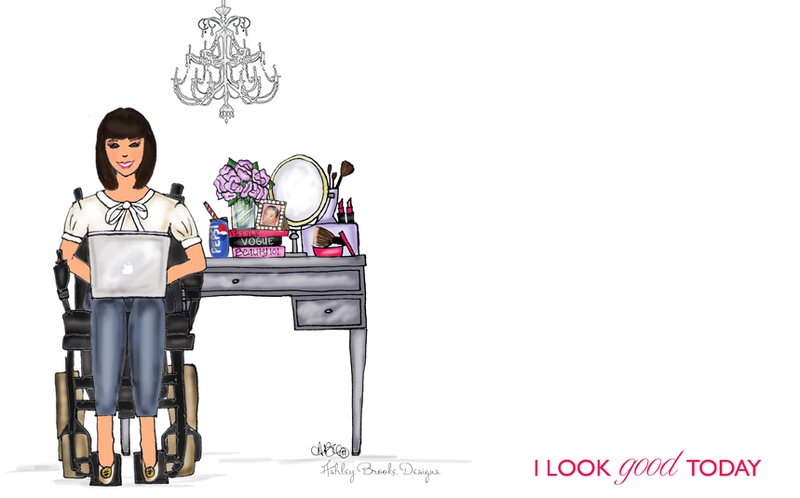 Visit http://www.julep.com/nyfw-sweepstakes?ref=138q to win a shopping spree in NY! Hello! Shopping spree in NY? Yes please! The more people who sign up with the above link are more chances for me to win my very own custom nail color. I challenge you to look in the mirror each day and say to yourself, “I look good today.” This small statement for me became the reminder that it didn’t matter if I was sitting in a wheelchair while all of my family and friends were walking. I am comfortable with ME, and I truly believe that when we tell ourselves that we do have something special inside of us, that small reminder each day helps you to hold your head a little higher and believe that you can accomplish anything you put your mind to. I promise you, people will take notice when you leave your trail of glitter wherever you go. . .perhaps on your fingertips with my Jasmina nail color from Julep! Memoirs from a girl who's done it all sitting down and is more than OK with it! © 2011 I Look Good Today. Banner courtesy of Ashley Brooke Designs. Travel theme. Powered by Blogger.